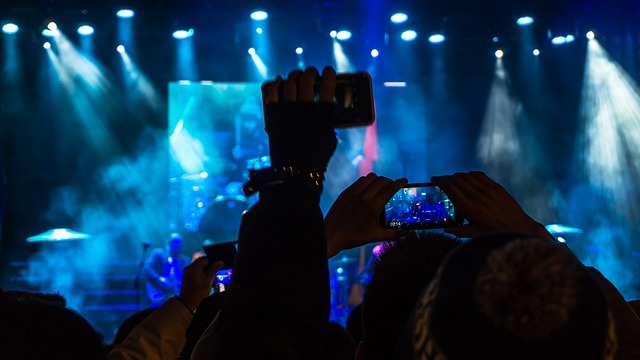 Jan 15 Will You Take Your Smart Phone To Your Next Concert? Around the turn of the year, Dave Chappelle and John Mayer (an interesting combination) played a series of shows at the Hollywood Palladium. As part of the event experience, they required their audience to put their cellphones in a special bag that could only be unlocked by a special tool located outside the performance venue. In other words, during the show, they couldn't use their phones and to do so, they had to leave the venue. “The audience is in the moment and they’re listening and engaging. Some moments get their power from the great wash of memory. The artist is free to be honest about their performance and their message, perform with a really honest heart." There's something to think about in there, whether you're a creator or someone who enjoys the fruits of someone else's creativity. As a creator, it's important to have an environment that is a safe space. A place where you can experiment, stretch your thinking, and take risks. This is true whether you're an artist or an entrepreneur in the conventional sense. You have to have the comfort of trying, of screwing up, of making mistakes. And when we're constantly wary, we can't do that. No safe space = no innovation. The point is, when you create, we should do so with freedom and abandon. Without a concern for external opinions of whats right or wrong. And we need to do whatever is necessary to create an environment that is conducive to this end. And when we consume, we should do so with intent, with honesty and with focus. We should be in the moment. Jan 18 Is Plan B Distracting You From Plan A? Nov 27 "You Will, Oscar, You Will..."